Josephine Matthews has been a DAB member for five years. She started playing with mosaics learning how to cut and glue tiles. At that time her granddaughter loved Disney Princesses, and asked if Josephine could mosaic Cinderella. Josephine then began learning to paint with acrylics so that she could do the backdrops for her mosaics. Josephine now has nine mosaiced Disney Princesses and various other beautiful artworks, which are on display in DAB's Gallery. Please call into the Gallery (11 Mill Street, Mossman) to view Josephine's magical mosaic artworks. 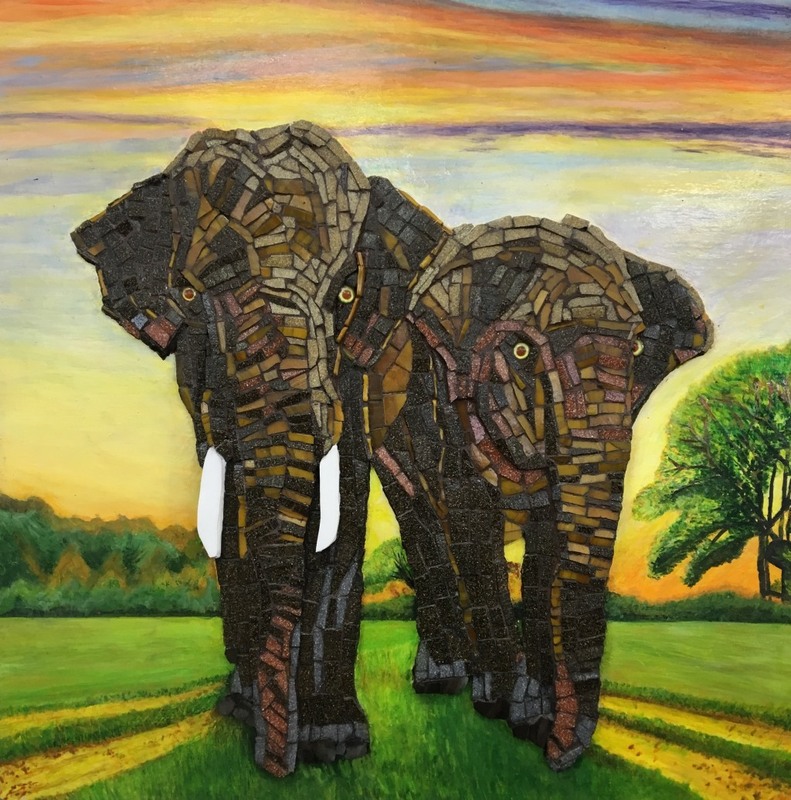 The winner of the People's Choice Award for the EOY Exhibition is - Josephine Matthews for her "Pair of Elephants", Mixed Media with mosaic and acrylic. Congratulations Josephine! 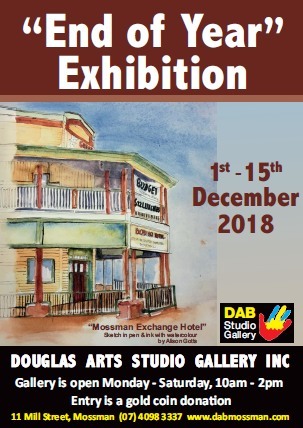 Come along and check a great collection of wonderful creations from our members during the 2018 end of year exhibition on 1 to 15 December. CLICK HERE to buy our new publication 'INSPIRED', a collaboration between Douglas Arts Studio Gallery Inc and Mossman Botanic Garden Inc. showcasing the flora of the wet tropics drawn by local artists. Funded by the Australia Council for the Arts.